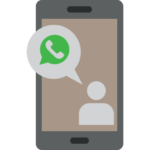 The objective of this post is to educate all users on how to make phone calls with the WhatsApp messenger on Android, iPhone and Windows platforms. Ever since Facebook acquired WhatsApp, many new features have become available to its users that simply didn’t exist before. 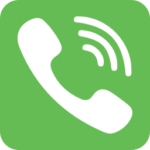 One of the most highly regarded of these new functions is the ability to place voice calls on all three primary platforms.  You cannot access 911 or other emergency services through the voice calling feature in WhatsApp. Plan ahead for what you might need to do in order to access emergency assistance if the need arises.  Voice calls can only be made to other users who also have installed WhatsApp and have an active internet connection on their mobile devices. Before you can start making voice calls with your application, there are a few things you need to assure has happened first. Make certain that the version of WhatsApp that you are using is the most recent version that is available for your particular platform. Make sure that the WhatsApp user you are going to call has been saved to your contact list within the application. You can only make calls to those that are on this list. Making a voice call is very simple. Open a chat with the intended call recipient and tap on the phone button at the top of the screen to dial out to them through the application. You will first be notified of an incoming call much like phone calls that you traditionally receive on your phone. Your entire screen will notify you of this call, and you will slide the green button to answer it, or the red button to decline the conversation. If you want to decline with a message, you can hit the message button on top of the call screen to send the caller a message instead along with declining the phone call. The idea here is to get you educated to start making voice calls through the WhatsApp messenger service. If you have any issues or troubles with the instructions listed above, feel free to reach out with the comment box below and I’ll be sure to get back with you as soon as possible to help.